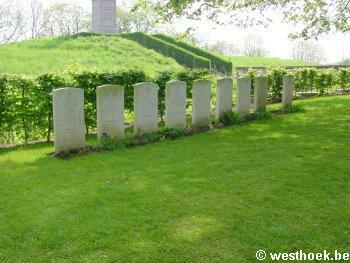 Een zicht op Essex Farm Cemetery. 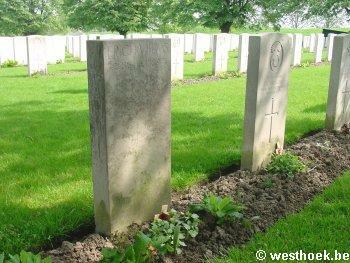 Een zicht op de begraafplaats van bij de gedenkzuil voor de 49th West Riding division. 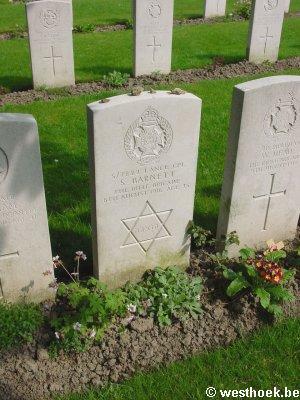 "Known to be buried in this cemetery 'A' "
"Known to be buried in this cemetery 'B' "
Boezinge is a village in the province of West Flanders, north of Ieper on the Diksmuidseweg road (N369). From the station turn left into M.Fochlaan and go to the roundabout. Then turn right and continue to the next roundabout. Turn left and drive to the next roundabout and then turn right into Oude Veurnestraat. 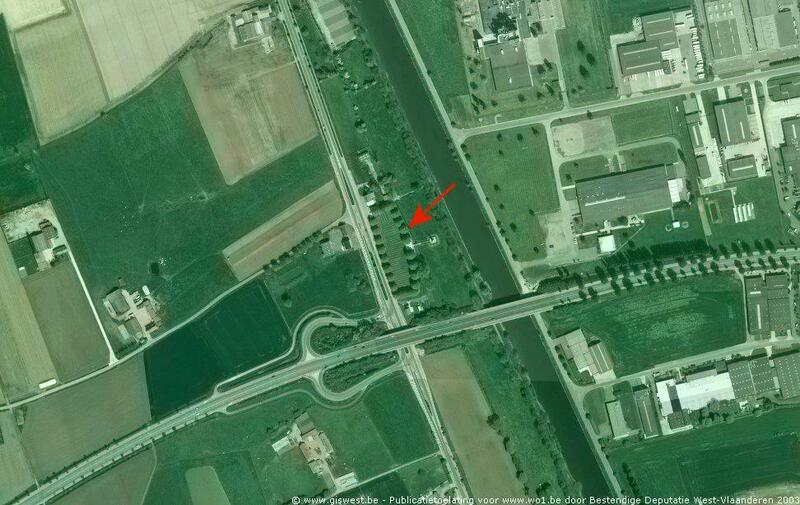 Take the 2nd turning on the left, which is the Diksmuidseweg, and follow the road under the motorway bridge; the Cemetery will be found on the right hand side of the road. Boesinghe (Boezinge) village during the greater part of the War, directly faced by the German front line on the East side; but further South the British line was several kilometres East of the canal. A little less than mid-way from Ypres to Boezinge there was a farm building, in the narrow space between the road and the canal bank, known by the Army as Essex Farm. 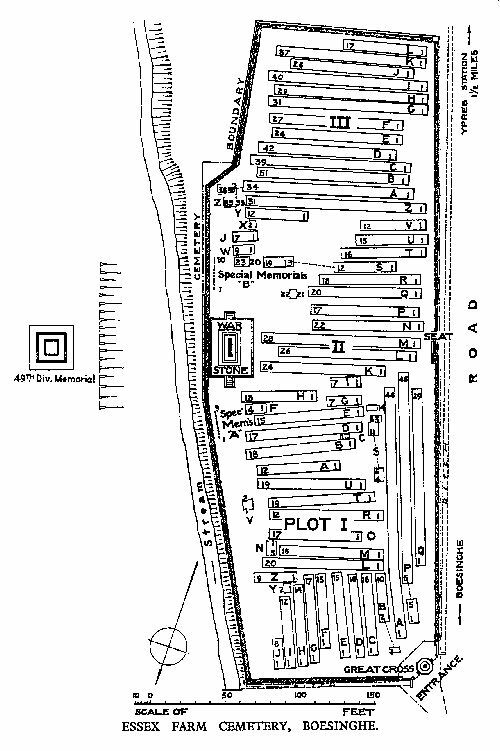 The land South of the farm came into use as a Dressing Station cemetery in April, 1915, and it remained in use until August, 1917. 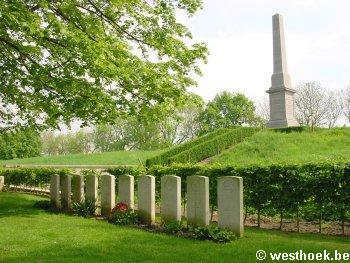 The burials were made without definite plan, and some of the Divisions which occupied this sector may be traced in almost every part of the cemetery; but the 49th (West Riding) Division buried their dead of 1915 in Plot I, and the 38th (Welsh) Division in the autumn of 1916 used Plot III. 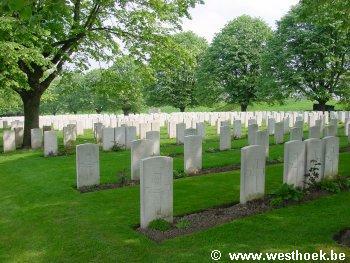 There are now almost 1,200, 1914-18 war casualties commemorated in this site. Of these, over 100 are unidentified and special memorials are erected to 19 soldiers from the United Kingdom, known or believed to be buried among them. The cemetery covers an area of 6,032 square metres and is enclosed by a low rubble wall on the South side and part of the East. 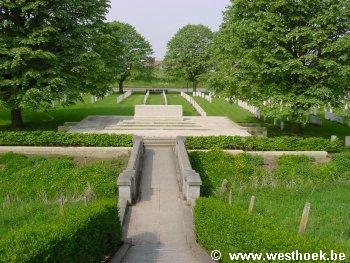 The 49th Division Memorial is immediately behind the cemetery, on the canal bank.